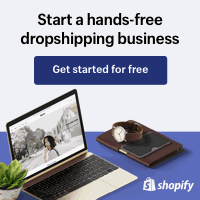 Who Is Who in Drop Shipping? Let’s get this out of the way first as confusion has been created through the incorrect use of terminology in the past. A ‘Re-seller’ (also known as a Retailer, E-Tailer) is a person or business that wishes to sell the products of a supplier. They are acting as a ‘sales agent’ for the supplier and the selling price of the product/s is usually set by them. They do not handle any of the shipping or the product itself. The Re-seller is expecting the supplier to deliver the product directly to their customer upon mutually agreed payment terms. 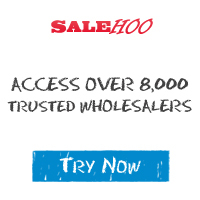 A ‘Drop Ship Supplier’, also be known as a ‘Drop Shipper’ or just Supplier, is the owner of the products that the re-seller wishes to sell on for a profit. Usually they will be wholesaler, distributor, manufacturer or importer of the products. To avoid confusion we will use the words ‘Re-seller’ and ‘Supplier’ below. There are two main types of drop shipping. Which type is adopted is negotiated between the re-seller and supplier and dependent on the needs of the re-seller and the ability of the supplier. If, as a re-seller you do not mind your supplier sending their business information (such as company name etc.) with items sent to your customers you may be happy for them to use ‘Straight Drop Shipping’. If you are creating a business where you building a brand name is important and you want to attract repeat business from your customers, you would not want your suppliers’ information sent with your customers’ orders and ‘Blind Drop Shipping’ would be the best option for you. This type of drop shipping is where a supplier is unable or unwilling to hide their identity from the re-seller’s customer. This type of supplier can be useful where your brand and repeat sales are not necessarily important to you. It doesn’t mean you’ll never get repeat sales. We’ll cover ‘generating repeat sales’ in another section. Re-sellers who use suppliers providing the straight drop ship model must also understand that some suppliers have their own branding on their products and it may not be viable for them to change this. With this model the supplier delivers orders to the re-seller’s customer with a delivery docket or invoice. The delivery docket/invoice is provided by the re-seller to the supplier (usually by email), or alternately no documents are sent with the order but are sent directly to the customer by the reseller. The supplier does not send any of their own details with the order. This is helpful when a re-seller wants conceal their drop ship business model. The image above lays out the basics for Blind Drop Shipping. This is the best model to use if you are a reseller attempting to build a customer base for repeat sales. It is also the best model for wholesalers if they wish to attract more resellers. You can add your business to the suppliers directory for free. We are accepting drop ship suppliers, wholesale suppliers, manufacturers, importers and business service providers into the directory at this time. For more information on adding your listing please read here.